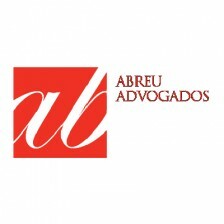 Abreu Advogados was incorporated in 1993. The firm has grown over the years, and boosted from 6 lawyers – in 1993, to 185 lawyers, including 26 partners, in a total of 265 professionals,with offices in Lisbon, Oporto, Madeira and in Angola, Brazil, China, Mozambique (in Association) and Timor-Leste (Joint Office). The firm currently ranks amongst the three largest law firms in Portugal, and is one of the most dynamic, innovative and recognised Portuguese law firms. From a technical point of view, Abreu Advogados provides services in 10 Practice Areas in the different fields of law. Each Practice Area gathers 47 working groups of a more specialized nature. As Lawyers in a highly competitive Market, the firm wants to leave the footprint of a Project which is human, technically excellent and committed to the construction of a sustainable World. Through its project of internationalization Abreu International – Legal Solutions, Abreu Advogados seeks to provide integrated legal services to its clients, tailored to meet their strategic needs in the Portuguese-speaking countries and markets. As a result, Abreu has established Associations with local prestigious law firms in Angola, Brazil, China/Macao, Mozambique and Timor-Leste (joint office). By means of a common international strategy, the firm is able to provide to its clients the same level of service and quality standards in the referred jurisdictions. Each of the local Partners act according to the same values and quality standards as those practised by Abreu Advogados, yet still, maintaining their own identity and autonomy. Therefore, in alternative to finding an Abreu office in each jurisdiction, the firm undertakes the compromise that its clients will receive the level of service they expect from Abreu, in the country where they have interests. Abreu Advogados was the first Portuguese law firm and indeed the first entity in the Portuguese Legal Sector, to publish its Sustainability Report. The firm launched its second Sustainability Report in June 2011. Founded in September 2012, the AB Knowledge Institute is one of the most important milestones in the sustainable growth strategy of Abreu Advogados. Reconciling dimension and quality is the key strategic goal of this project, which will enhance the technical, organizational and human credibility that has been shaping the conduct of the firm. Abreu Advogados is certified under the ISO 9001 Norm [(Certification in all 3 offices:Lisbon (2001); Oporto (2006); Madeira (2009)]. Abreu Advogados was the first Portuguese law firm to install Autonomy iManage Worksite, a collaborative document management system. Autonomy iManage Worksite provides a single system that works within a multi-office environment and allows people to simultaneously work together on the same documents. In 2013 Abreu Advogados is the only Portuguese Law Firm to be selected as a “National Champion” by the European Business Awards 2013/2014 for its innovative international project, Abreu International – Legal Solutions. In 2011, Abreu Advogados was distinguished with the award for ‘European Legal Team of the Year’, within the British Legal Awards 2011. Abreu Advogados is the only Portuguese Law firm to ever win an award at the British Legal Awards, and to be shortlisted for three consecutive years. Abreu Advogados was also distinguished by RSG Consulting and Iberian Lawyer magazine, with the award for ‘Innovation by a Portuguese Law Firm’, which seeks to recognize the firm’s results in the 2009 and 2010 editions of the Financial Times Innovative Lawyers Report.